4th Annual SES Read-a-Thon Kicks Off Monday, February 4th! Join us in the Joy of Reading. The SES fourth annual Read-A-Thon runs from Monday, February 4th through Friday, February 15th. This fundraiser provides dollars to the PTSA General Fund which supports the school’s sustainability program, music, and scholarships for overnight trips, among many other things. 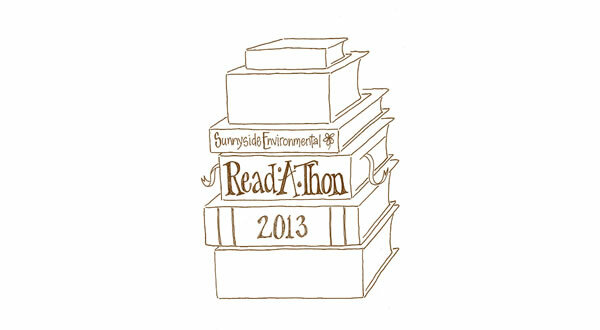 We are excited for another successful Read-A-Thon which depends on the involvement of every student as Sunnyside. Whether you raise $3, $30 or $300 it all goes towards our goal of $30,000! In addition to being a great fundraiser, the Read-A-Thon supports Sunnyside’s desire that all children are literate and have a passion for reading. Parent Letters and Read-A-Thon Packets came home with students this week. If you need an additional copy you can click on the links to print them. This year, teachers have recommended some of their favorite books. You can also click to get a copy of the Teachers’ Top PicksÂ as well as a list ofÂ SES Library Reading Picks. If you have any questions please contact Beth Willard-Herr at bethwillardherr@gmail.com or 503-231-6581. Click here to make your pledge payment online.